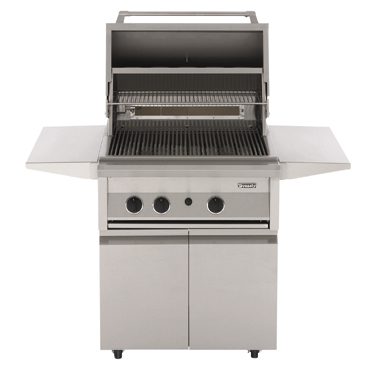 When casual dining outside is in season, our 30" freestanding grill travels easily under the stars. So you can grill to your heart’s content on 554 sq. in. of cooking surface and finish the meal with sides and sauces precisely cooked on a pair of Dynachrome™ burners. Heavy-Duty rotisserie motor - 80 lbs.